The ultimate source for information and resources available to the community. 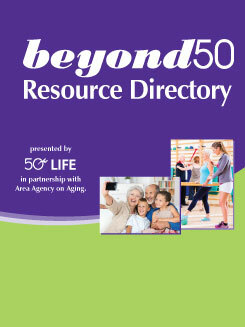 The Resource Directory for the Caregiver, Aging, and Disabled is the most comprehensive publication in print and online for the county focusing on products, services, and support for baby boomers, seniors, caregivers, and persons with disabilities. The online edition is easily accessible anytime, anywhere and is complemented with a print edition that reaches the many baby boomers, seniors, and others who continue to rely on printed material. Year-round distribution - Free copies are distributed throughout the county, including government offices, CVS/pharmacies, doctors’ offices, 50plus EXPOS, professional organizations, and wherever 50plus LIFE is distributed. 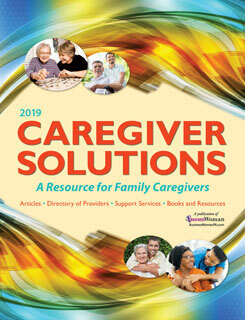 Caregiver Solutions guide provides information, resources, and support that caregivers need in order to take care of a loved one … and themselves. Caregiver Solutions guide, a glossy magazine, is inserted in the July issue of BusinessWoman magazine and is also available in digital format online. Additional copies are distributed at key events throughout the year. 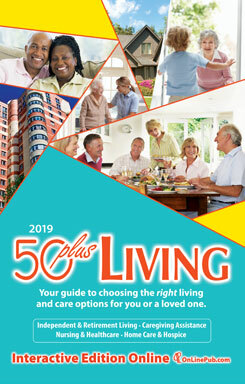 A free guide to the housing options available to the 50+ community in the Susquehanna and Delaware valleys, is designed to aid you in your search for the best lifestyle arrangement to suit the changing needs of you or a family member. Healthcare, residential, and community resources are abundant in Central and Southeastern Pennsylvania, and 50plus Living organizes the information for various communities, facilities, and centers available in your area into identifiable categories.